Accommodation and lodging are very important aspects while we are out on holidays. Things such as facilities, surroundings, service are of paramount importance. The kind of place we choose to stay in while holidaying can provide us those picture perfect memories which we can savor throughout our lives. 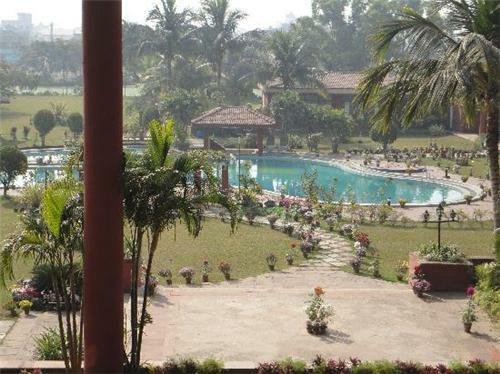 One such place which is bound to make your stay comfortable and grand in Haldia is the Golden Retreat. A 120 room luxury resort located in City Center, it is one of the finest resorts in Haldia which has service par excellence. 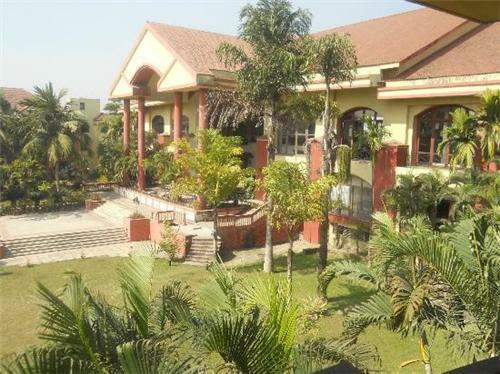 A 10 acre lush green property, this place helps you to embrace nature and greenery. The imposing construction gives one a feeling of grandeur and is very spacious. Built in Victorian style architecture it has a tasteful collection of artifacts which oozes class and luxury. Of late, it has become a ver popular destination for individuals and corporates alike. It is a nice place to hold your company’s outbound programs or those all important conferences. A striking feature of the grandeur of Golden Retreat is the reception area. You enter the lobby area and just can’t be in awe of the great space and luxury. Standing atop the lobby from the first floor helps you to have a clearer view and understanding of the grandeur that the place has to offer. The rooms and suites here are a mark of affluence and luxury. There are deluxe rooms which are substantially large and have all the luxurious werewithals such as television set, exquisite furnishing and comfortable beds. One can also opt for the suits which have big living rooms and are equipped wit private Jacuzzis. The blue crystal clear water of the swimming pool would compel one to take a splash and enjoy the moment. However tired one is, a visit to the pool will surely work for you. There is also the choice of sitting by the side or lying on one of those poolside chairs and enjoy the beauty of the resort. The resort also has bar facilities for people who like to gulp down a few pegs to get into high spirits. The bar has variety of liquor and beverages and one can be spoilt for choices. The bartenders are friendly and thorough professionals always ready to toss a drink of your choice for you. For the fitness buffs and ones trying to energize themselves there is a state of the art Health Club and Fitness Center equipped with the most modern machines. There is a choice to go for the soulful and rejuvenating massage or to burn some calories on the modern machines. The banquet here would give you a feeling of being transported to a princely place. Such is the opulence and spaciousness of the banquet. The tidy carpets and paneled walls are a treat for the eyes and make a fine impression. Able to fit in a large number of people, it can be used for parties and conferences. China Valley, the restaurant in the resort serves some great food. As the name suggests, it has a very authentic and sought after Chinese dish menu. Indian cuisine is also worth giving a try and for people who are not interested in either of these there is choice of great continental food. The place is sure to provide you satisfaction in terms of food and service. It is a highly recommended resort with great facilities and a beautiful ambience. The sheer area of the property speaks volumes about the grandeur of the place. It is a visual delight at night when the illuminated lights cast a glow over the greenery of the campus.